Popular HipHop impresario and business mogul, Curtis ’50 cent’ Jackson is one of the celebrated and richest rappers in the world. He has been ranked among the top 5 richest HipHop rappers for a while by Forbes magazine. 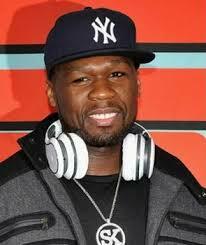 As the saying goes, behind every successful man there is a woman and 50 cent is of no exception. He too has one hell of a beauty who keeps him company. Remember, a woman can make you a millionaire, but only if you were a billionaire…. Just saying. Below is a picture of 50 cent’s stunning girlfriend Daphne who hails from the Phillipines.